I love the whole simplification, minimalism movement and it feels good especially when I'm purging my closet (which btw you can take a look at here), but I always find myself wrestling with my consumer self. The one who loves to travel and shop at local boutiques and the blogger who like to try out the newest things. Nowadays I feel so guilty whenever I buy anything nonessential or even step into a fast fashion store to look. I feel the consumer-me who constantly wants new new new is bad. But I recently realized that I'll always be a consumer who especially likes to try new items and brands. So really it's about being a smarter pickier consumer. It's about learning to live with less in general but purchasing from those who not only align with my style aesthetic but also my values. So yes I may not be a typical minimalist but at least by reviewing items from my favorite brands I'm supporting what I believe in and what I want to see more of in the future (local craftsman/artisan made and socially/environmentally conscious brands). I guess you can say I'm slowly transforming from a conspicuous consumer to a conscious consumer. 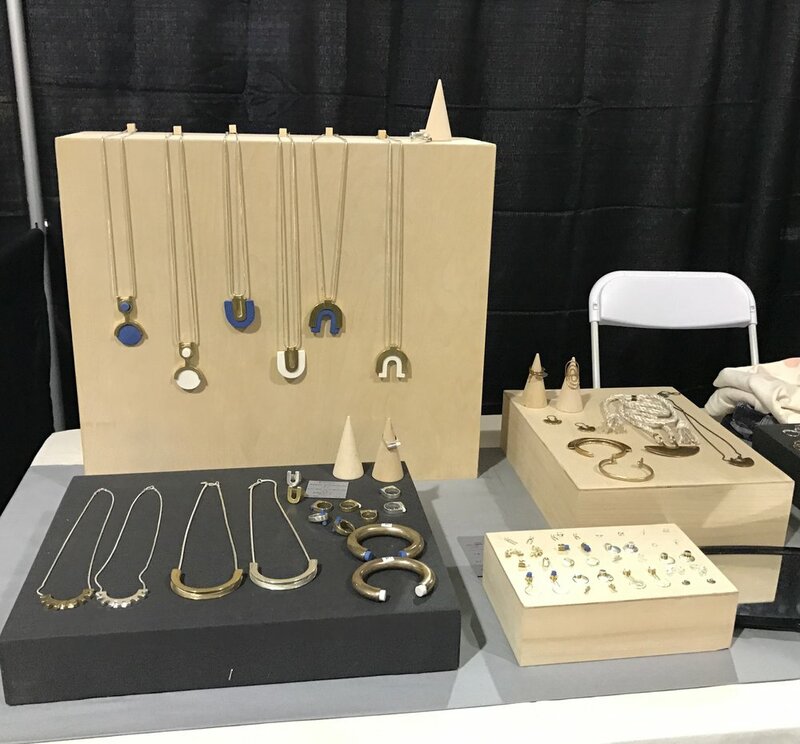 So here's to being a smarter consumer (my goal this holiday season is to purchase only responsibly made gifts, which I got a head start on at the West Coast Craft Fair). P.S. It's always really fun to buy directly from makers. You can feel the pride in their work and their gratitude when you appreciate their items. My one purchase for myself was this awesome bag from Good West Co. Can't wait to show you guys some outfit posts with it!